Premier of the Cayman Islands, Hon. Alden McLaughlin, was first elected to the Legislative Assembly in 2000 and has been a legislator ever since. He served as the Minister of Education, Training, Employment, Youth, Sports and Culture from 2005-2009. For his contribution to constitutional development in the Cayman Islands, Her Majesty Queen Elizabeth II awarded him the M.B.E. in the Queen’s Birthday Honours in 2010. In February 2011 he became Political Leader of the Progressives, of which he is a founding member. He was subsequently sworn in as Leader of the Opposition in the Legislative Assembly of the Cayman Islands. He was named Premier following the General Elections of the Cayman Islands in May 2013, where the Progressives won the majority of seats. He served as Minister for Home Affairs, Health and Culture from 2013-2017. 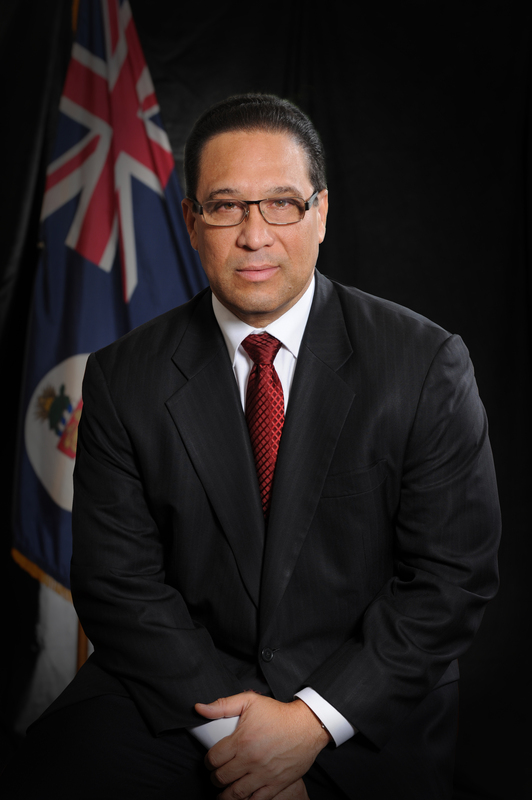 He is the first Premier to serve consecutive terms in the Cayman Islands with his re-election in May 2017. He also serves as Minister for Human Resources, Immigration and Community Affairs. Mr. McLaughlin is a lawyer and a former partner in a local law firm. He retired from the firm in 2005, following his re-election and first appointment as a Cabinet Minister. He is a past president of the Caymanian Bar Association and the Lions Club of Grand Cayman. He is an avid reader, cyclist and farmer. Mr. McLaughlin is married to Kim and they have two sons Daegan and Caelan.